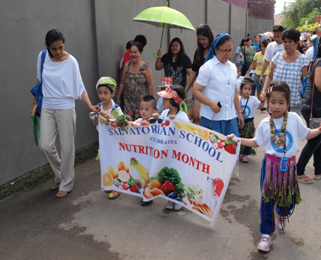 Nutrition Month is usually celebrated during the month of July. The theme for this year is "Gutom at Malnutrisyon, Sama-sama Nating Wakasan- Hunger and Malnutrition, Collectively We Can Put an End." As part of the celebration, the parents, teachers and guardians of the children and the children themselves are encouraged to eat nutritious foods. It is the time to persuade the children to have good eating habits as a lifestyle which would help them explore new things and learn quickly. It is best to teach the value of nutrition as early as preschool age so that the children will develop healthy eating habits. This nutrition awareness is considered part of their lesson. 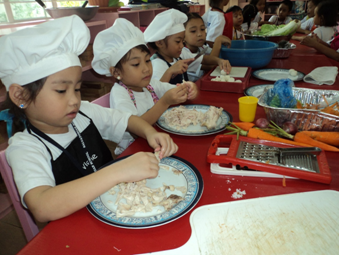 The children also had their cooking activity. The Salvatorian School believe that children will learn a lot of skills in cooking. Launching of the Financial Sustainability Program of the Philippine Region. 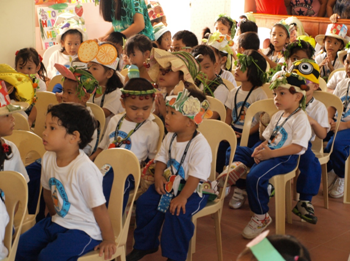 The said launching was held on September 8, 2012, the birthday of our Blessed Mother. Members of the Salvatorian Sisters' community, Salvatorian School children with their parents, benefactors and friends graced the occasion. Spring Rain headed by Ms. Glenda Antonio with her staff were there to give full support. 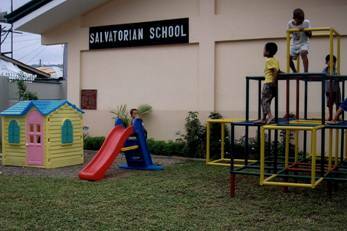 Salvatorian School is situated near St. Arnold Janssen Parish Church in Barangay Basak, San Nicolas, Cebu City. Cebu City is one of the oldest cities of the Philippines where Magellan from Portugal discovered Philippines and planted the first cross of Christianity. Barangay Basak is part of San Nicolas, a southern district of Cebu City about 20 minutes drive from the Magellan’s cross monument. The Salvatorian School envisions a child’s giftedness wholistically moulded in the image of the Divine Savior. Urged by the spirit of the founder Fr. Francis Mary of the Cross Jordan and co- Foundress Blessed Mary of the apostles of the Sisters of the Divine Savior (Salvatorian Sisters), the Salvatorian School promotes Christian Values and a strong foundation for a life long learning through relevant quality education and making Jesus Christ known as Savior of the world. 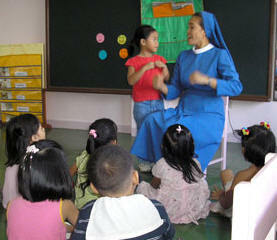 The Salvatorian School believes that each child is unique as well as an active and holistic learner and that play is an influential context in which a child develops a number of skills. to recognize the individuality of diversity of background and experience among the children. to provide a strong foundation from which children can grow to become active participants in life-long learning. to work for the total development of children thus, address their social, emotional, physical, intellectual and moral needs. to create a child-friendly environment and an atmosphere of love so that eventually, children will be imbued with love of God. to coordinate with and encourage parents to be active partners in their child’s learning. The school year 2011 to 2012 will start with the celebration of the Holy Eucharist on June 8, 2011 but before that opening of the classes there will be a faculty and staff recollection on May 27, 2011 at the Rogationist Seminary in Labangon,Cebu City. Our parents' orientation will be on June 12, 2011. All parents and guardians are required to attend this meeting. 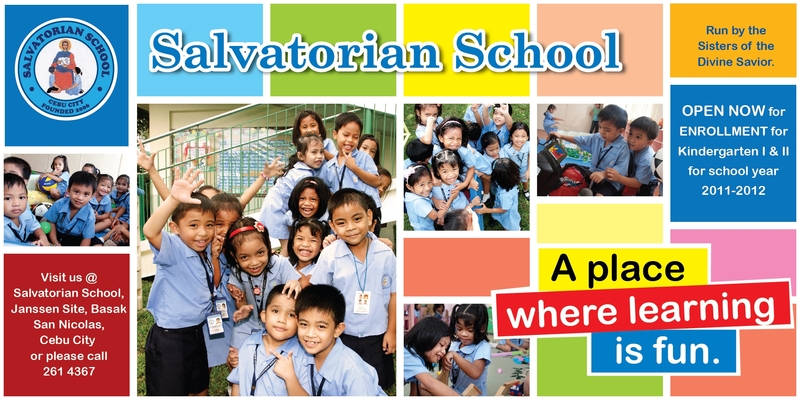 Copyright © 2012 Salvatorian School Inc.